Another snap from my morning calligraphy hours. The meaning of this Kanji is here. 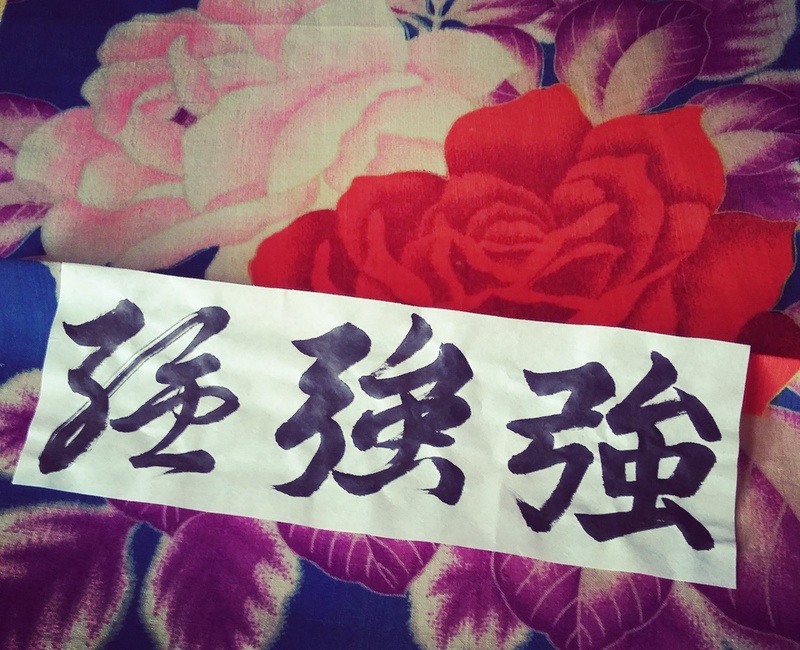 In Sanshotai, three calligraphy styles.